Our one day event is only $150* for academic registrants who are OLC members. The rate for corporate registrants who are OLC members is $595. Membership discount applied upon registration. Lunch is included in registration fee. *A $50 fee will be charged for all cancelled registrations. Refund requests must be made in writing to Online Learning Consortium. Cancellation by January 25 (up to 1 month out): Refund of payment minus the $50 cancellation fee(s). Cancellation between January 26 and February 14: 50% refund will be issued less a $50 administrative/cancellation fee for registrations. There will be no refunds within 1 week of event date (cancellations must be received by February 14, 2018). If you are not able to attend, a substitute may attend in your place. The name, title, and email address of the substitute must be emailed to conference@onlinelearning-c.org. If you do not attend the program and do not submit a written refund request, Online Learning Consortium will retain all fees. IF you have not paid in advance but have cancelled your registration, you are responsible for the cancellation fee and will be billed. OLC is not responsible for any change / cancellation charges assessed by airlines, travel agents, hotels or other similar vendors. Email all cancellation requests/substitutions/ registration questions to conference@onlinelearning-c.org. The academic non-member registrant fee is $200*. The rate for corporate registrants who are not OLC members is $695. You will also receive a free, three-month OLC professional membership (new members only; not applicable for renewals) as a part of your registration so you can get to know OLC and our community better! Details will be emailed post-conference. Lunch is included in registration fee. In just a few decades, the ways we communicate with one another both in and out of the workplace have rapidly evolved. We now have the choice of completing virtual degrees, and the workforce is also increasingly more virtual, with global teams and even entirely virtual companies. With the ability to search for, learn and share knowledge about most any topic instantaneously and throughout our entire lives, what impact does this have on workforce training and development? What are proven strategies, technologies and resources that facilitate development, innovation, growth, and the sharing of organizational knowledge? Which practices and technologies are currently helping organizations develop an agile, diverse, and adaptable workforce and which are on the horizon? Clark Shah-Nelson serves as Assistant Dean of Instructional Design and Technology for the University of Maryland School of Social Work. He is an eLearning instructional design & development professional with over 20 years experience in educational technology innovations: teaching, designing & leading award-winning online and distance learning teams for learning management platform implementation, training, end user support, professional development and engagement. He has presented at numerous online learning and ed tech conferences, was co-founder of the Blend-Online Educause constituent group, co-founding master chef of the Online Learning Consortium (OLC) Technology Test Kitchen, and has recently volunteered as Engagement Co-Chair for OLC Accelerate and Program Co-Chair for OLC Innovate conferences. Clark has authored chapters on synchronous tools for teaching and learning support and co-authored a chapter on professional development installations. As a consultant, Clark has worked on several international projects in the realm of blended and online learning. When looking at initiatives to support the success of online students, the first place to start should be with the quality of the program. Using best practices, institutions can create and sustain a quality online learning environment from course design and teaching effectiveness to having the appropriate services and resources available. Kaye Shelton, Ph.D. is an Associate Professor of Educational Leadership in the Center for Doctoral Studies in the College of Education at Lamar University. Previously as the Dean of Online Education for Dallas Baptist University, she led the development and ongoing operations of their online education programs with over 55 majors and degrees offered fully online. She is certified as an online instructor, teaching online since 1999, and also an online education consultant. Winner of the both the Blackboard and eLearning exemplary online course awards, she has published over 40 articles and book chapters in the field of online education, including a coauthored book entitled An Administrator’s Guide to Online Education. Dr. Shelton was also awarded a Sloan-C Effective Practice award for her research on the Quality Scorecard for the Administration of Online Education Programs, the John R. Bourne award for Outstanding Achievement in Online Education and the NCPEA Morphet Dissertation award. Dr. Shelton has been involved with research in online education since 1997 and has spoken at numerous conferences and workshops and advised peer institutions regarding the creation of an online education program and best practices for teaching online and faculty support. Recently, Dr. Shelton has been involved in the national and international use of the OLC Quality Scorecard for the Administration of Online Programs as it has been adopted by institutions in Latin America. She is also an Online Learning Consortium Quality Scorecard program evaluator and teaches workshops regarding its implementation. Often adult learners bring rich contextualized experiences to the college classroom relating to their field of study. Sometimes these experiences are helpful in understanding and applying theory. Sometimes these experiences are hindrances – stopping points for further learning, as the adult learner may think their context is the ‘right’ or finished context for applying or understanding a particular theory. Immersive technologies can be tools of empowerment and transformation in these contexts. Students can capture their work experiences through technology which validates their current understanding and use virtual or augmented technologies to transform the work experiences to encourage deeper learning and transformation. Dr. Rae Ann Hirsh directs the early childhood program at Carlow University. She teaches play, curriculum, technology, practicum, service learning, and methods courses. She leads the CREATE lab satellite work of the university. In the 2016-17 AY, she was awarded the Carlow Woman of Spirit award for her work connecting students with families experiencing homeless. She was also awarded Carlow’s Digital Learning Award for her creative use of technology in the classroom. She was a past recipient of the Teaching Excellence Award. Before academia, Dr. Hirsh taught in early childhood centers, kindergarten, elementary schools, as a learning support teacher, and is a PQAS trainer. Her research interests include curriculum, emotions, neuroscience, and educational technology. Dr. Hirsh believes that teaching young children is the most important work one can engage in. Teachers are agents of change who are needed to instill values of humanity, compassion, empathy and love of learning in each child they have the privilege to teach. High quality, compassionate teachers can change the world! Significant changes are coming to online education. From balancing the need for educational innovation against regulatory realities, to using data driven approaches to better understand and manage change, to a new model of the university built around competency-based assessments, these are just a few of the factors driving change. The day’s final session brings together the thoughts and conclusions generated from the OLC Collaborate – Pittsburgh discussions to formulate a regional response to the changing educational environment. Topics gathered by OLC facilitators and session archivists during breakout sessions along with those posted online by participants during the day will be used to guide this interactive final session. Led by Kathleen Ives from OLC, each of the day’s keynote speakers will have the opportunity to address the collectively generated questions and topics and place them in the context of the broader changes occurring in higher education. The OLC Collaborate – Pittsburgh response will become the second contribution to a national discussion as the OLC Collaborate sessions continue across the country. 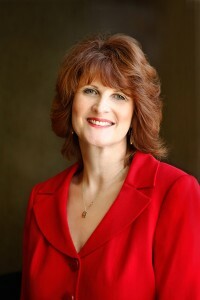 Kathleen S. Ives, D.M. has worked in online technology for over 20 years and is currently the Online Learning Consortium’s Chief Executive Officer and Executive Director where she oversees the organization’s strategic direction. Additionally, she serves as faculty for the Institute for Emerging Leadership in Online Learning (sponsored by Penn State and OLC), and serves on the EdSurge Advisory Group, the Executive Strategic Council for IMS Global Learning Consortium and on the Leadership Advisory Board for the Center for Learning Innovations & Customized Knowledge Solutions (CLICKS). Formerly, Dr. Ives oversaw all forms of alternative instruction at Quinsigamond Community College in Worcester, MA (distance learning, accelerated programming). She serves as adjunct faculty for graduate and undergraduate business programs at Wentworth Institute of Technology in Boston. Dr. Ives began her career at CBS and helped to develop the service that evolved into Prodigy. She then spent fourteen years designing and implementing consumer online information services, first at AT&T and then at Verizon where she spearheaded the development of the nation’s first online Yellow Pages product, now called superpages.com. Dr. Ives has degrees in communication, communication management, and organizational leadership from the University of California at Davis, the University of Southern California, Annenberg School of Communication, and the University of Phoenix-Online, respectively. Rachael Afolabi Royes has worked in the field of education learning and web applications and design technologies for the past 11 years. She is currently the Dean of Online and Digital Learning, and Adjunct Faculty at Carlow University. Previously, Rachael worked in the corporate sector (Deloitte LLP., Accenture LLP., Motorola Solutions, etc.) as an Instructional Designer and Lead Training Developer overseeing several forms of interactive digital course design and developments, project implementations and learning management system administration. Rachael began her career as a graphic and textile designer and has degrees in Industrial Design, Curriculum and Instruction and Teacher Leadership from Ahmadu Bello University, Zaria, Nigeria, University of Phoenix and Walden University respectively. All sessions are held at Carlow University and are in Eastern Time (ET). Joining us for OLC Collaborate? Come directly to Carlow University. Carlow University is a private, liberal arts university in Pittsburgh. Offering small classes, on-site and online programs, and generous financial aid, we provide an exceptional education within a compassionate community rooted in the heritage of the Sisters of Mercy. Carlow graduates are in demand for their entrepreneurial spirit; creative mindset; ability to manage change—and their professional expertise in fields ranging from nursing, the sciences, and perfusion technology to counseling, education, and forensic accounting. Carlow’s thirteen athletic teams are known as the Celtics, a reflection of the university’s Irish heritage and roots. Examity®, the world leader in ID Verification and Online Proctoring software and support, is a multimodal solution ideal for universities and corporations. The company has been recognized for enabling efficiency, security and convenience in online testing. Customers have the flexibility to select the appropriate level of security, including live, recorded, automated and mobile options. Support is provided around the clock and integration is included. As the recognized leader in the industry, Examity® partners with more than 200 universities and corporations worldwide. Please contact us at 855-examity or rgrosberg@examity.com for a demonstration.